A human spends at least two thirds of his lifetime indoors. How he feels there, is very dependent on the quality of the interior air. 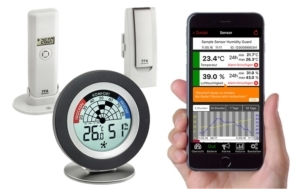 The control of interior temperature and humidity by purposeful heating and air creates a comfortable and healthy indoor climate and this also saves on heating costs. 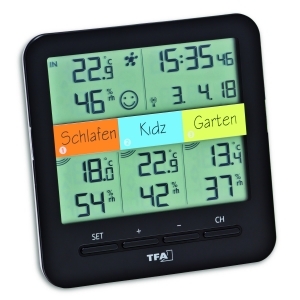 An indoor temperature of 18 – 22 ° C and a relative humidity of 40 – 60 % are felt as pleasant by most people. Those values furthermore minimize health dangers. Control the values of your living and bedroom regularly. 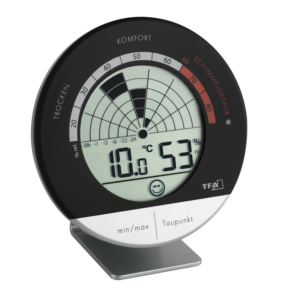 Adjust the indoor climate by active heating and airing. 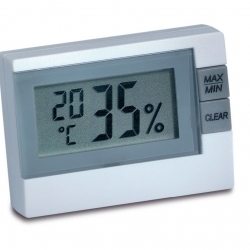 The temperature level is a very individual thing and also a matter of dressing and activity. 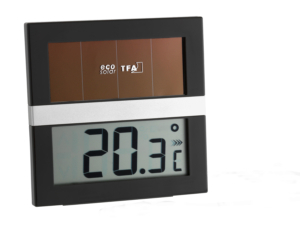 Apart from the pure indoor temperature, the sur- face temperature of the environment – like windows, walls, ceilings, floors as the air circulation play a role. With cold walls and draughty windows the temperature of the air has to be much higher in order to reach a comfortable indoor climate. A good damping, even at lower temperatures, does not only protect against direct warmth losses but furthermore ensures additional well- being feelings as the walls’ surfaces are warmer. Showering, cooking, laundr y dr ying: By these activities a human always sets water vapor free. About 6 to 12 liters are set free per day with a 3-person household. If there is not sufficient air interchange – a problem of many new and well insulated houses – the air will become too wet. Excessive heating on winter months leads vice versa to dry air several times. 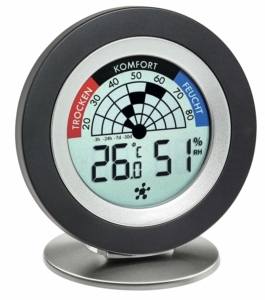 With a hygrometer you can keep an eye on humidity. 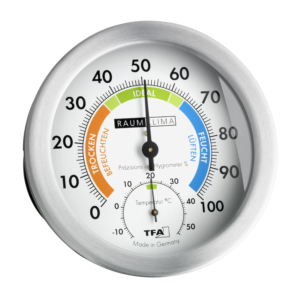 An analog hygrometer should be regenerated or even readjusted regularly. We commend to do this every six months. 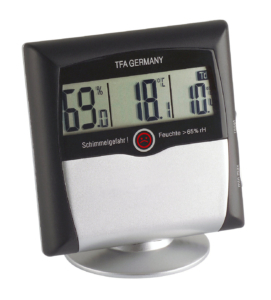 Click here for more information on how to regenerate and recalibrate an analogue hygrometer. Mould, mildew, viruses, mites – and certain types of bacteria – only spread out in high humidity conditions. But an overly dry room climate can also affect our health and wellbeing in various ways: Our skin and respiratory system will suffer and infections, allergies and asthma are more likely to occur. 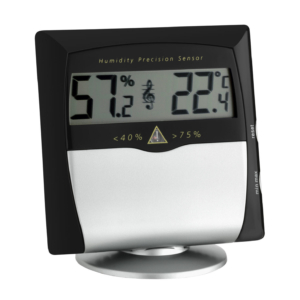 Studies have shown that a relative humidity of 40 to 60% minimizes pathogens and reduces the risks of getting respiratory diseases or infections. Cold air can absorb less humidity than warm air. 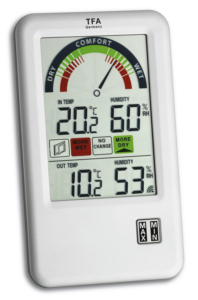 If air is cooled down continuously and the absolute humidity remains stable, the relative humidity will rise up to 100 %. If the air continuous to cool beyond that, the excess water vapor will be separated as droplets. This temperature value is called dew-point. 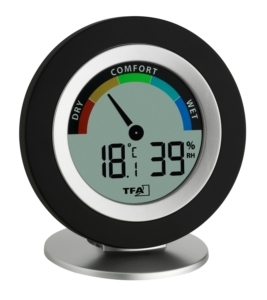 A dew point temperature of 15 ° C means that the humidity in the air condensates at places colder than 15°C. From this process – particularly in the winter at badly damped places like old windows, corners of a building or roller-type shutter boxes – the ideal fertile soil for spores and mold fungi develop. Humidity over 60 % of relative humidity favors the growth of mold fungi. 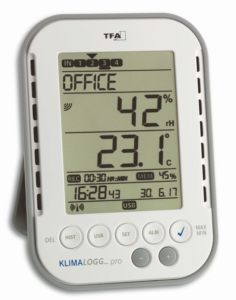 Observe your dew point with a suitable thermo-hygrometer. The temperatures of the wall’s surface should not get under 15 ° C. Check the temperatures at critical places such as thermal bridges by infrared measurement. Not only humans but also pets, plants and sensitive objects need the correct climatic conditions. Hygroscopic materials such as wood, paper, leather and textiles react sensitively on a volatile humidity. At high levels of humidity they absorb humidity and may deform or get mold. If the surrounding air is too dry humidity becomes extracted from the item. So the item, for example a musi- cal instrument, a wooden floor, a frame, furniture or a book may form cracks or become brittle. 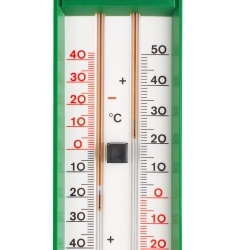 Keep an eye on the maximum and minimum values and avoid unsteady temperature and humidity conditions. 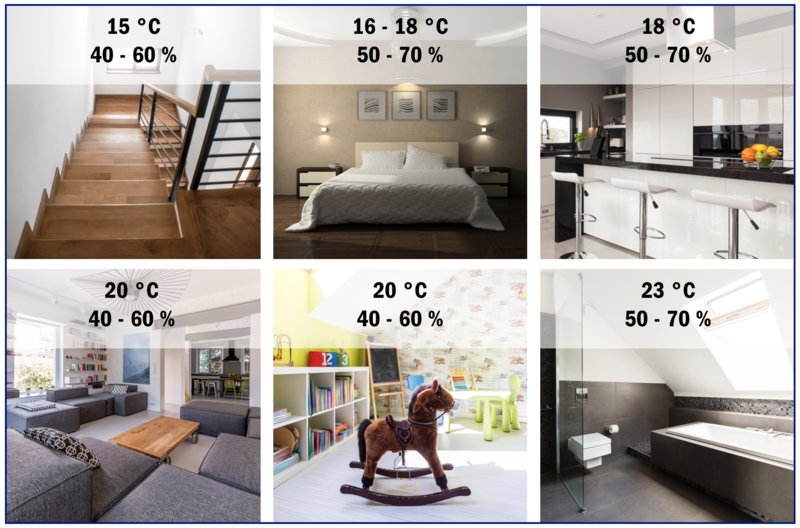 Optimal conditions of indoor climate for wood and leather are: circa 20 °C and 45 – 65% rH*, textiles and paper: 40 – 50 % rH, musical instruments: 50 – 55 % rH. Optimal conditions in a cellar storeroom are 4 – 12°C and 70 – 80% rH (wine: 13°C, 70% rH). 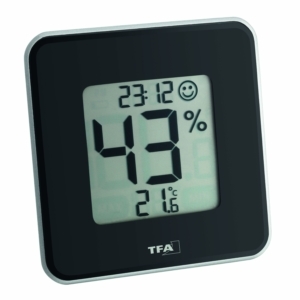 Through the control of the indoor temperature you are able to save up to 6 % of heating costs with 1 °C of temperature reduction. 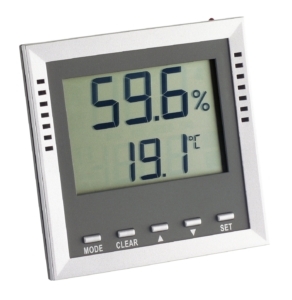 Check the setting of the heating elements by the nightly stored minimum and maximum values. No higher temperature reduction but 5 °C on night-time! 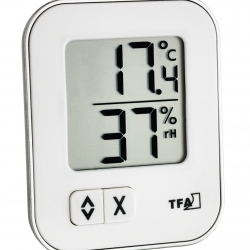 Depending upon use the correct temperature varies from room to room (see below). Never turn off the heating completely during absence. 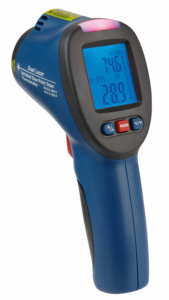 Holding a certain average temperature saves more money. Open the window temporarily (intermittent airing). Continuous airing wastes energy and can even advance the mold formation. Air your apartment crosswise. Open opposite windows. Also air your apartment on cold and wet weather. Does the cold indoor air warm up, it can absorb more humidity. After some few minutes you should notice the humidity decreasing. The lower the temperature the more you have to air your rooms. Air your room more often if you have highly insulated glass windows. Bathrooms and kitchens have to be aired immediately after usage. Open each window in every room in the morning. Before noon or at noon air each room in which persons stayed. Air all rooms again in the evening.